Cloud Climbing Beauty: Does Avon do animal testing? Many people today are rightly concerned about the use of animals to test skin care and makeup products. Avon is also concerned about this issue, and has been for over 20 years. You can read more about their commitment to producing safe products with safe ingredients without animal testing here. Avon also has "a longstanding commitment to managing our environmental footprint. We address key impacts across our business enterprise and focus on continuous improvement, with particular emphasis on the areas that are most important to the company and of importance to society and the planet. A global network of Associates is dedicated to environmental stewardship and apply the principles of sustainability to their daily work." In addition, Avon as a longstanding tradition of global philanthropy efforts. "The Avon Breast Cancer Crusade, which launched in 1992, has placed Avon and the Avon Foundation for Women at the forefront of the fight against breast cancer. 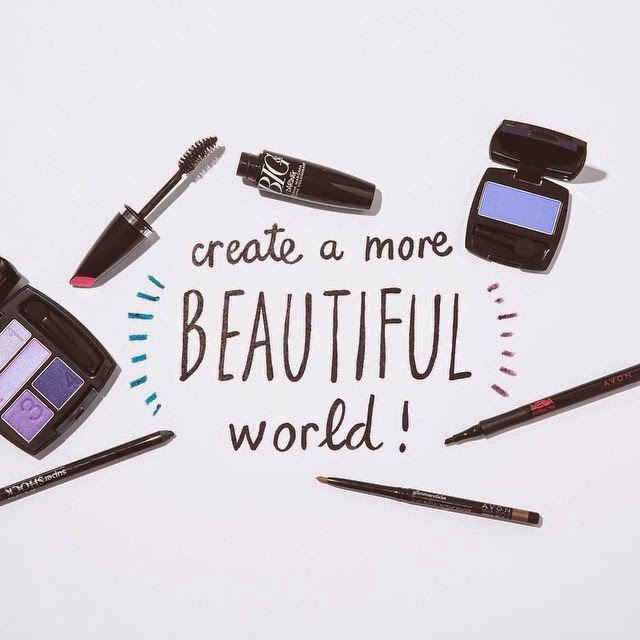 Today, Avon is the leading corporate supporter of the cause globally. Our six million Avon independent Sales Representatives around the world not only raise funds for breast cancer programs, but also provide a global army of educators, offering information and raising awareness around the world. Avon global philanthropy has donated more than $815 million through 2013 to breast cancer programs in over 50 countries for research and advancing access to care, regardless of a person’s ability to pay." But we aren't just involved in the Breast Cancer Crusade. Just a few years ago Avon began to Speak Out Against Domestic Violence. "Today, nearly 50 Avon markets around the world raise funds and awareness to support programs aimed at ending family and gender violence." For these and many other reasons, I've been proud to be an Avon Independent Sales Representative for 28 years. I am celebrating that 28th anniversary in just a few days! !